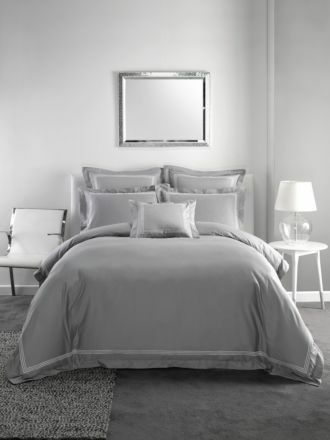 Bring that five-star bedroom experience with you by investing in hotel luxury linen from our world-class collection. With a range of stylish cotton sateen quilt covers and sheet sets, our hotel quilt covers are simply the ideal choice. 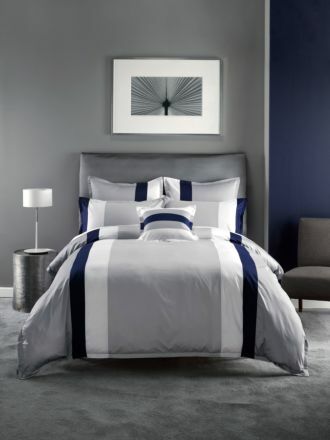 Here at Linen House, we are passionate about offering hotel luxury linen at affordable prices. With a comprehensive selection of colours, designs, sizes and styles to choose from, our hotel collection has something for you. Whether it be a European-inspired room to whisk your mind away to your favourite holiday or a set of luxurious linen cushions to finish off your master bedroom, our hotel collection is the range for you. With timeless elegance, unbeatable quality and five-star comfort, we are confident you'll find everything you need in our hotel luxury collection. For the latest styling tips, inspirational design and creative ideas, visit our website today. With all the tips you need to revamp and recreate your favourite interior trends, our team are here to ensure you achieve the look of your dreams. When shopping our entire range of hotel quilt covers online, enjoy the benefits of quick and reliable shipping! Simply place your order before 1pm and our team will send out your purchase on the very same day! Also, when you sign up to our newsletter we will offer you an additional $15 off your first hotel luxury linen online order. To learn more about the entire hotel collection online, visit us today! Whether it be in-store or at our online store, our team of experts are here to help you.